Debridement surgery is a dental procedure in which the dentist or the periodontist removes the calculus and plaque from the subgingival part of the teeth. It is a conventional procedure which is routinely done in many of the dental patients who are concerned about their oral hygiene of their oral cavity. Debridement can be done with the help of the instruments as well as with the manual techniques. The instruments used in the dentistry from debridement procedure are ultrasonic scaling where the instrument is used successfully to clean the calculus in the best way. The manual scaling removes the plaque as well as the calculus on the supragingival part of the teeth. 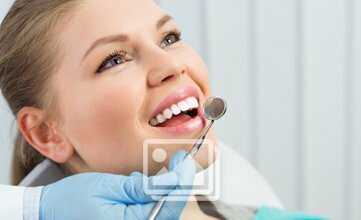 Ultrasonic instruments like the ultrasonic scalers are used to a great extent in the recent times to clean the calculus from the areas around the teeth. Debridement surgery is one of the best ways to prevent further progression of several dental diseases like periodontitis, loss of teeth at unnecessary times. This makes it easy for the patients to maintain a great oral hygiene status for every individual who gets the procedure of debridement done at a dental practice. One of the most popular debridement procedures is the full mouth ultrasonic debridement (FMUD). This procedure aims in preserving the cementum and removing the bacteria present in the periodontal pocket on the scaler tips are successfully used in this debridement procedure instead of the curettes which are used in the root planning procedures. There are several advantages of the debridement procedures like reduced time period for the removal of calculus and no requirement of anaesthesia in the procedures which keeps the patients relaxed on the dental chairs. Many of the inflammatory periodontal diseases can be prevented to a great extent once the patient undergoes the debridement procedure. Thus, debridement procedures are of great benefit for the dental patients in several ways.